Darling Dont Dance – Danish noise rockers! DARLING DON’T DANCE Played their first gig at The Trash Bar, Brooklyn, NYC in 2007. From 2007-2013 Darling Don’t Dance spent their summers in NYC where they produced and recorded the Bare Frames EP (2009) and the debut album City Ghosts (2012), which were mixed by the legendary American producer John Agnello (Dinosaur Jr., Sonic Youth, The Breeders, The Kills), and mastered in collaboration with Greg Calbi. 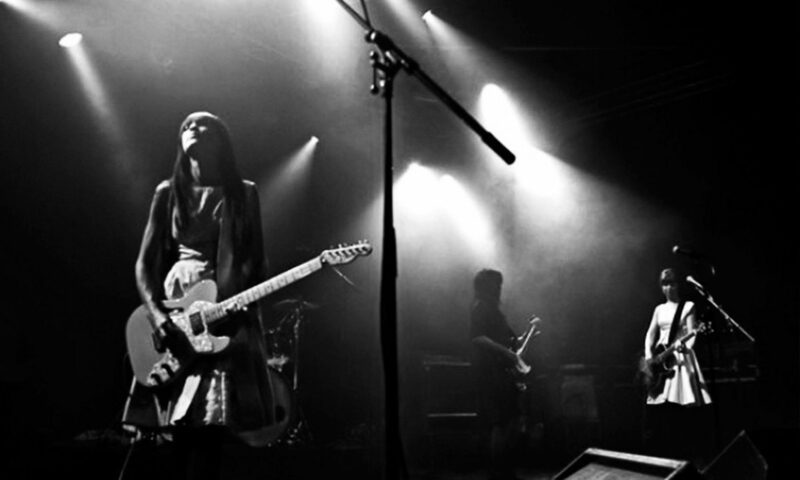 In the first half of their career Darling Don’t Dance played a wide variety of New York underground venues, while also playing support in Denmark to a host of top Danish and international bands, such as Nephew, Magtens Korridorer, The Big Pink, EMA, and Hole, among others. In support of City Ghosts Darling Don’t Dance toured Europe (Germany, France, Holland) and have performed at Iceland Airwaves festival and a long list of Danish festivals. Their newly released album ‘Pediophobia’ has already been named “a masterpiece”, “a powerfull comeback” and “a unique and brave album”. Darling Don’t Dance don’t shy away from dissonant noise textures, and aren’t afraid to showcase a beautiful melody either. They get under your skin with Big Muff, Sweet Honey, and fearless vocals. Today we did an awesome #livesession in the #backyard of our #rehearsalspace. A new live recording + video by @anderslindved are coming your way real soon ???? Brand new single “Pediophobia” is out on Sep 16th on all digital platforms! But what if I’m numb what does it make me?